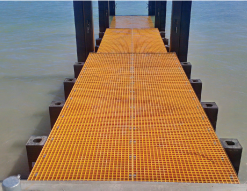 Our extensive range of FRP composite grating structures is noted for possessing great bi-directional strength characteristics for an effective anti-slip deck that is more versatile than any other product in this field. Combining the traits of GratEX® and GridEX®, MoultrEX® is an exceptional non-slip FRP grating system that possess amazing bi-directional strengths and high point loading, making this grating type well suited as an anti-slip decking option for urban spaces. 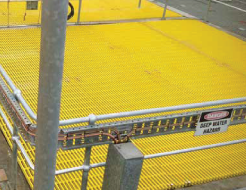 GridEX® is Treadwell’s pultruded FRP grating range which provides fantastic uni-directional strength and boasts the highest point loading capability. 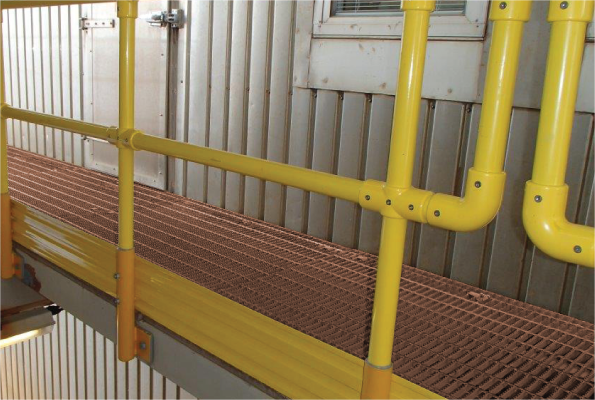 Treadwell’s FRP stair treads are readily available in pultruded as well as moulded grating profiles with a range of anti-slip options. The resin systems can be isopthalic, vinyl ester or phenolic fire retardant in nature and are ideal for both domestic and commercial applications. The P-Series® range of FRP or phenolic fibreglass grating by Treadwell is considered ideal for settings where the chances of fire and smoke are high. 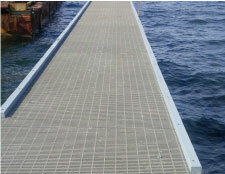 While typical FRP grating has amazing non-conductive abilities, there are instances where conductive grating is required. 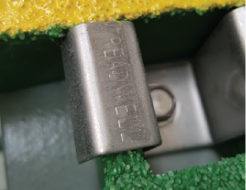 Treadwell’s conductive grating drains off the build-up of unwanted static electricity when grounded. 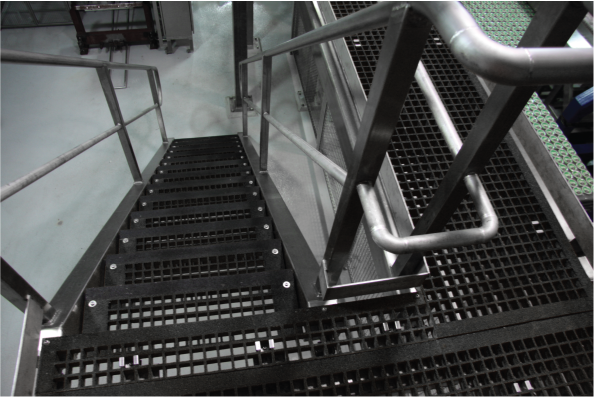 The ACCESS SYSTEMS of Treadwell are supported with a diverse portfolio of fastening products to meet each challenging scenario that our clients might face. Treadwell's collection of FRP grating solutions includes an extensive range of grating with a wide range of ancillary components and fixings. 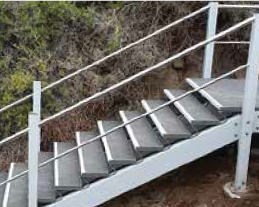 For the complete range and technical details of our FRP grating offerings, please refer to our EX-Series®Grating Product Guide.